An illegal dentist who targeted pensioners offering fitted dentures was caught in a sting at a care home, a court heard. ‘Accomplished fraudster’ Charlie Von Klemperer advertised his services in West Sussex but was not registered with the General Dental Council. Portsmouth Crown Court heard he had repeatedly tried to register with the regulatory body under different names but ploughed on, insisting he was qualified but the organisation was just being ‘difficult’. The 66-year-old repeatedly retched and vomited in a bin in the dock as prosecutor Christopher Prior outlined the case against him. Mr Prior revealed Von Klemperer advertised in the Littlehampton Gazette targeting senior citizens. But complaints to the regulator from one pensioner, who had responded to the advert, led to an investigation. Mr Prior said the woman had paid £225, with Von Klemperer – calling himself Jonathon Smith – coming to her home to measure the dentures and returning after having made them. The defendant periodically wailed in the dock, slumped in his chair throughout the hearing. A sting operation by the GDC saw an investigator contact the unregistered dental technician and arrange to meet him at a care home in Bexhill-on-Sea. 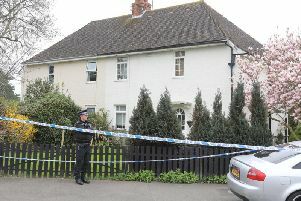 “An employee contacted the man purporting to be Mr Smith and arranged for him to attend a care home in Bexhill-on-Sea. “She gave the impression her mother required a new set of dentures. “The defendant attended purporting to be Mr Smith, confirmed that he was a dental professional, thus giving rise to the fraud. “He was arrested and gave his name as Von Klemperer. The court heard all the clients were contacted, with a further two victims of the denture fraud. One victim lost £400 and another was charged £399 but did not pay. Sentencing Von Klemperer on Friday, judge Timothy Mousley QC handed the defendant a 12-month community order, 20 rehabilitation activity days and 150 hours of unpaid work. Von Klemperer, who admitted three charges of fraud in 2016-2017, has now trained in podiatry and is making £3,000 a month while also practising as a foot care specialist. He suffers from depersonalisation, anxiety and disassociation disorder. Von Klemperer must now pay compensation in full to the victims.